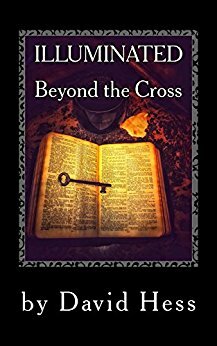 Illuminated Beyond the Cross by David Hess offers a redemptive look of the Cross and the Crucifixion through a journey into God’s Word and key Scripture. Sanctification and Romans 6:6 illuminates the power of the Cross by way of the new man. Exposing deception, darkness and sin held within, Hess offers Biblical keys to walking in the power and forgiveness by way of the Cross. Presenting the grace that is present in the New Testament, beyond the Cross, coupled with a series of revelations recorded in the book obtained from poignant questions the author asked the Lord, He delivers answers. These answers correlate with Scripture and Christians indeed will find them intriguing. A further study of Scripture reveals the Law, which all could not keep. Sharing a powerful message to all those who would believe Christ’s message of the amazing grace of a new life in Christ marked by a pure heart, repentance from sin, the author offers a powerful and practical guide to living in the victory of Christ. Displaying the mystery of the Cross, a new meaning of freedom from guilt and shame come to light in this invigorating and deeply insightful read. Stating that what has been hidden for centuries, is now available to all who would open their hearts and choose to see with eyes of understanding. With such chapters as: Seeking & Searching, Beyond the Cross, A Word from God, Wisdom of Revelation, The Cross illuminated, Crucifixion, Sanctification, In Christ Illuminated, Creation Illuminated, John 17 Illuminated, & The Law Illuminated Summary, the author lovingly reveals being crucified with Christ, being freed from sin and living a sanctified life that brings freedom – all by way of the Cross. Further, declaring a revlatory theme for 2018 as many being set free from bondages, the author offers a journey and guide to teach others what the Cross means to them in their everyday lives. Stating that the year 2018 is when the Church will receive back the power and glory, inspiring all to go beyond the Cross into the God’s destiny as the triumphant Church. This book comes highly recommended relating powerful keys for the Church to grasp in order to walk in full victory. and as a download in Kindle. You may visit David Hess at Voice Of The Truth Ministries.